IG Group Holdings plc’s Andy Green, the acting Chairman of the group has been appointed as the non-executive director of Avanti Communications Group plc, effective immediately. 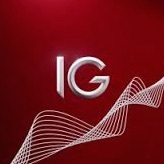 IG Group has made a number of key moves lately, which included the recruitment of Richard Elston as Head of Institutional Sales from Saxo Bank and most recently the installment of Tal Zohar as part of its senior management. Mr. Green’s supplementary role is effective immediately, and will not affect his current capacity with IG Group.